Visit us at our Fountain Valley, California location, where we carry thousands of GPS Navigation products and provide same-day GPS Navigation installation. Your car is a personal expression of who you are inside and out. 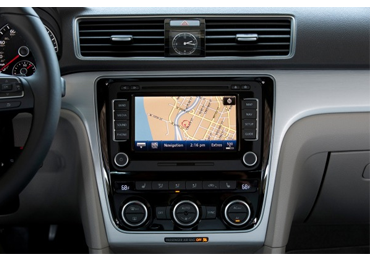 When you are looking to have GPS Navigation installed, it is important to find the Orange County GPS Navigation shop that will best meet your needs. This includes several important aspects that many people often overlook when they do not take the time to do the proper research and find the best fit for their needs. Before you look for a GPS Navigation shop, you need to make sure you do your research so you can ask the right questions and will not be taken advantage of. Because there are so many different GPS Navigation components with interactive features and complicated specifications, you will want to make sure you know the important terminology and definitions before looking for the authorized dealer to perform your upgrades. This includes going to Authorized GPS Navigation dealers like Crazy Stereo to learn about the products or services you are interested in. You want to look for several key factors in the Authorized GPS Navigation dealer that you will choose. Do they Listen and Educate? You want a GPS Navigation shop that is going to take the time to understand your needs and educate you on your options. Nothing is more frustrating than spending your hard earned money on your automobile enhancement, only to receive it back and find out mistakes were made on specifications you requested right at the beginning. You want a team of professionals who are going to truly understand what you want and teach you about your options, what makes each option different, and what to expect from the process, including cost. This way you will have all your needs met and you will be able to know how to talk about GPS Navigation with your friends when you show off your new ride. There is nothing worse than having an inexperienced technician installing your parts for you. This is where your prior research comes in handy. Because you know your stuff, you will know to ask what license and certifications the GPS Navigation technicians have. You will be able to find out what training the shops requires, the number of years they have been in business, and even what some of their work is like. Do not get caught off guard by the displays in the lobby. 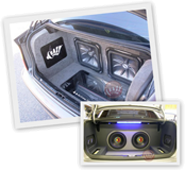 You want to know that what is going to be installed in your automobile will be done professionally. It is your right to ask these questions ahead of time. Do not get caught off guard by the displays in the lobby. You want to know that what is going to be installed in your automobile will be done professionally. It is your right to ask these questions ahead of time. What type of Equipment do GPS Navigation Shops Install? This is an important piece of information to know. If you are using a shop that is trying to cut costs with low end products to make more profit, the result will be subpar. Thus, you want to know what brands of products the store offers. This will allow you to assess the quality and duration you can expect from the equipment itself. This also tells you if the shop knows what they are doing. If you find a shop with no name brands, that should be a red flag to stay away.